There is something particularly elegant about a well-phrased sentence. For some reason, we recoil when a sentence is awkward or lopsided, even though it may say the same thing as its more well-dressed and often smaller sibling. Please enjoy these notes. They aim to explore how it is we are able to say, write and understand anything at all. 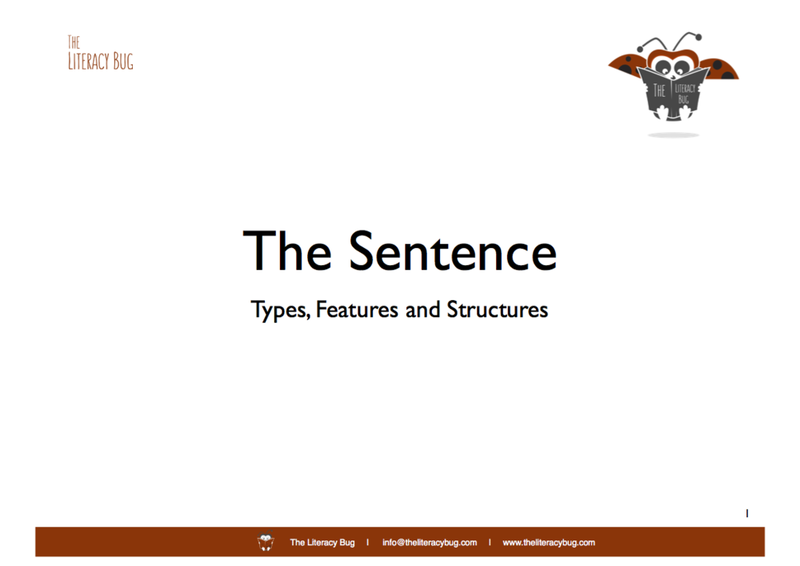 Select the image above for details on a Literacy Bug presentation on sentence structure. TLP 3.141: A proposition [(e.g. a sentence)] is not a blend of words. -- (Just as a theme of music is not a blend of notes.) A proposition is articulate. “And the words slide into the slots ordained by syntax, and glitter as with atmospheric dust with those impurities which we call meaning.” (Burgess, 1968, Enderby Outside). TLP 4.03: A proposition must use old expressions to communicate a new sense. TLP 3.34: A proposition possesses essential and accidental features. Accidental features are those that result from the particular way in which the propositional sign is produced. Essential features are those without which the proposition could not express its sense. PI 496: Grammar does not tell us how language must be constructed in order to fulfill its purpose, in order to have such-and-such an effect on human beings. It only describes and in no way explains the use of signs. TLP 4.01 A proposition is a picture of reality. A proposition is a picture of reality as we imagine it. TLP 4.03 A proposition communicates a situation to us, and so it must be essentially connected with the situation. And the connexion is precisely that it is a logical picture. Z 245: I understand the picture exactly, I could model it in clay. -- I understand this description exactly, I could make a drawing from it. In many cases we might set it up as a criterion of understanding, that one had to be able to represent the sense of a sentence in a drawing ( I am thinking on an officially instituted test of understanding). How is one examined in map-reading, for example? PI 280: Someone paints a picture in order to show how he imagines a theatre scene. And now I say: “This picture has a double function: it informs others, as pictures or words inform -- but for one who gives the information it is a representation (or piece of information?) of another kind: for him it is the picture of his image. TLP 3.1: In a proposition a thought finds an expression that can be perceived by the senses. TLP 3.11: We use the perceptible sign of a proposition (spoken or written, etc) as a projection of a possible situation. The method of projection is to think of the sense of the proposition. TLP 3.13: A proposition includes all that the projection includes, but not what is projected. Therefore, though what is projected is not itself included, its possibility is. A proposition, therefore, does not actually contain its sense, but does contain the possibility of expressing it. (‘The content of a proposition’ means the content of a proposition that has sense.) A proposition contains the form, but not the content, of its sense. TLP 2.21: A picture agrees with reality or fails to agree; it is correct or incorrect, true or false. TLP 2.22: What a picture represents it represents independently of its truth or falsity, by means of its pictorial form. TLP 5.13: When the truth of one proposition follows from the truth of others, we can see this from the structure of the propositions. OC 5: Whether a proposition can turn out false after all depends on what I make count as determinants for that proposition. OC 485: We can also imagine a case where someone goes through a list of propositions and as he does so keeps asking “Do I know that or do I only believe it?” He wants to check the certainty of each individual proposition. It might be a question of making a statement as a witness before a court. 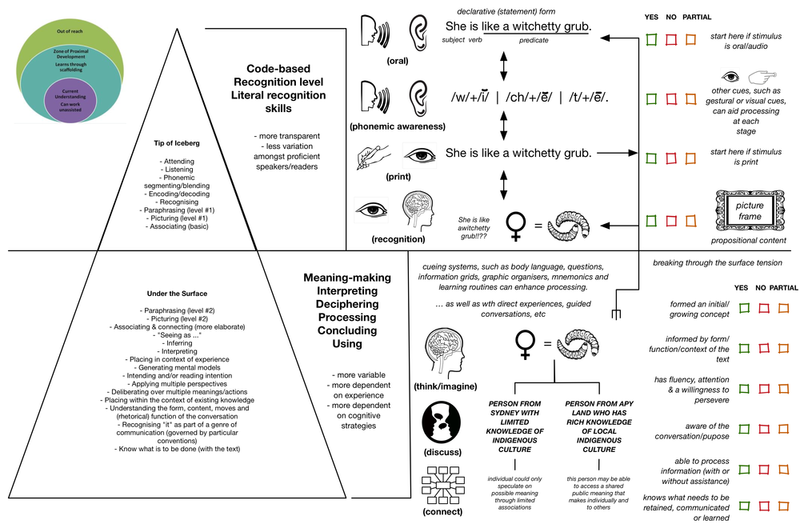 PG 1: How can one talk about “understanding” and “not understanding” a proposition? Surely it’s not a proposition until it’s understood? PG (pg 39): Doesn’t understanding start with a proposition, with a whole proposition? Can you understand half a proposition? Z 73: Some sentences have to be read several times to be understood as sentences. Z 74: If now we raise the question “At what moment of translating do I understand the sentence?”, we shall get a glimpse into the nature of what is called “understanding”. Z 90: What do I know of what goes on within someone who is reading a sentence attentively? And can he describe it to me afterwards, and, if he does describe something, will it be the characteristic process of attention? PG 104: “A proposition isn’t a mere series of sounds, it is something more.” Don’t I see a sentence as part of a system of consequences. "You might know the technique - you might know how to use the expressions but would not understand it (or them) unless you could know how it was connected with the [discussion]." (Rhees, 2006, 6 - 7). PI II, vi: The if-feeling would be compared with the special ‘feeling’ which a musical phrase give us. (One sometimes describes such a feeling by saying “Here it is as if a conclusion were being drawn”, or “I should like to say ‘hence ...’”, or “Here I should always like to make a gesture--” and then makes it). Z 188: I read each word with the feeling appropriate to it. The word ‘but’ e.g. with the but-feeling - and so on.” - and even it that is true - what does it really signify? What is the logic of the concept ‘but-feeling’? -- It certainly isn’t a feeling just because I call it “a feeling”. Z 42: And how does [a child] learn to use the expression “I was just on the point of throwing then”? And how do we tell that he was then really in that state of mind then which I call “being on the point of”? -- It is interesting to compare the multiplicity of tools in language and of the ways they are used, multiplicity of kinds of word and sentence, with what logicians have said about the structure of language. Goldman, S. R. (2012). Adolescent literacy: learning and understanding content. The Future of Children, 22(2), 89–116. Retrieved from http://www.ncbi.nlm.nih.gov/pubmed/23057133. Minar, E. (2010). The philosophical significance of meaning-blindness. In W. Day and V. Krebs (Eds), Seeing Wittgenstein anew. (pp. 183 - 203). Cambridge: Cambridge University Press. _____________. (2001). Philosophical Investigations. 3rd Edition. Translated by G.E.M. Anscombe. Oxford: Blackwell Publishing.